A flowering plant from the mint family is grown in the temperate climates. It is mainly used in gardens and landscape use as ornamental plant, as a culinary herb and for extracting the oil - essential oil. Also a colour has been named for the shade of the flower as Lavender. It is an easy to grow herb. It can be grown best in dry, sandy, gravelly soils and well-drained areas in full sun. Plants need not be fertilized or a little fertilization would be required to grow this plant. Who would not get to like a nice massage and get relieved from stress! Due to its many rich and good features like fragrance, colour and medicinal values, lavender is been used as a everyday herb at home, salons, spas in medicinal field. This oil is widely used in the cosmetic industry due to its fragrance. Because of this nature it is mainly used as perfumes, balms, soaps and also in spas as soothing oil. Also used as anti-sunburn oil which helps reduce tanning of the skin. When used in massaging it relieves the anxiety and stress one has. Due to the rich in flavor, the lavender flower is used in cake decorations (baking desserts). It especially goes well with the herbal teas. In case of poor digestion (growth of bad bacteria inside stomach), lavender helps reduce the bad bacteria due to its antioxidant nature. 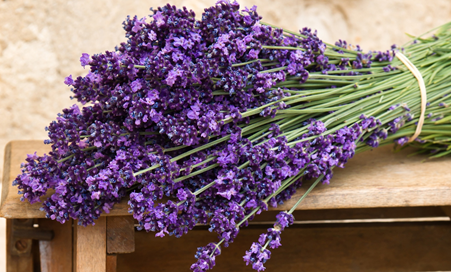 Most of the lavender oil is used for “Aromatherapy”. 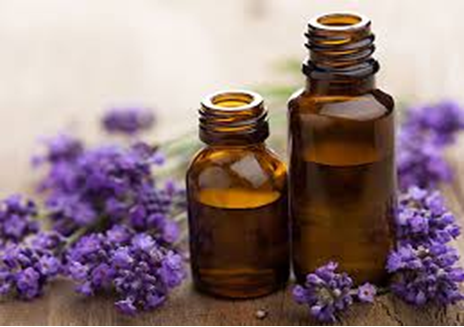 It is believed that lavender oil soothes burns, headaches and if in case of insect bite. It also effects and influences one to have a good and quality sleep when lavender extract are used at home. It also helps in the treatment of several neurological disorders. It also acts as a mosquito repellant due to its strong and sharp fragrance, and is helpful in treating minor respiratory problems and treating skin problems. It is also used as a decorative item for floral arrangements. The dried leaves or fillers are made in sachets and can be used to keep your linens fresh and spread fresh fragrance. It also helps fighting dandruff. It is also widely used as disinfectant such as air freshener, phenol, etc.